How is Massachusetts Preparing Fishermen for Emergencies? Home » How is Massachusetts Preparing Fishermen for Emergencies? When commercial fishermen are out at sea, they only have their crew and experience to rely upon in an emergent situation. In these cases, good instincts and prior practice can turn the tides on potentially dangerous situations. That’s why Fishing Partnership Support Services was founded in Massachusetts, where New England has some of the most dangerous waters in the country. The Partnership began soon after a tragic scalloper accident. The vessel sank and all but one crewmember survived. As it turned out, that survivor was the only crewmember that had training. This inspired six crewmen to begin a training program to make sure all fishermen are given the resources to stay safe. The program has had more than 3,000 fishermen participate and includes hands-on survival training from instructors who have experience in either the Coast Guard or as fishermen themselves. The commercial fishing industry has long held a bad reputation as a hazardous occupation. That said, states need to make safety and training a priority. Accidents at sea can happen very suddenly and without warning. Fishermen must be adequately prepared to handle any type of unexpected emergency at sea. While some training is mandated by law and minimal training courses are provided, more programs like the Partnership need to be accessible so that all fishermen nationwide are prepared for anything while at sea. 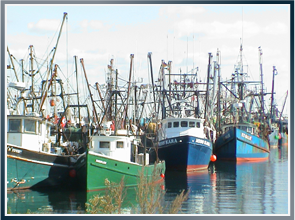 Latti & Anderson LLP is a maritime injury law firm that fights for commercial fishermen who have sustained injuries at sea. Previous What is the Most Common Cause of Accident for Crab Fishermen? Next Is Too Much Technology Causing Maritime Accidents?